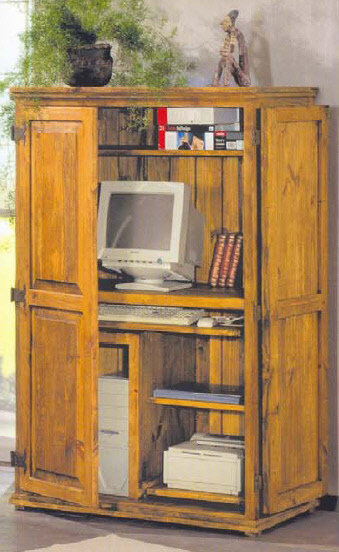 House your computer and accessories in this beautiful armoire. Take advantage of our custom finishes to make it a special piece to enhance your Mexico work environment. 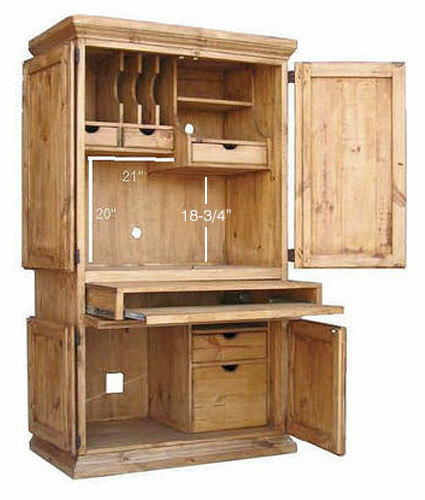 House your computer and accessories in this beautiful armoire. Take advantage of our custom finishes to make it a special piece to enhance your Mexico work environment. Two examples shown. 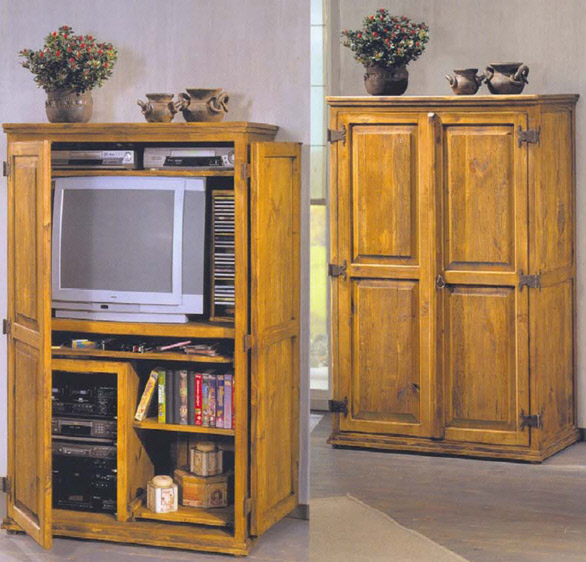 We make these custom, so no problem tweaking the dimensions or shelving.